3/4 in. GDS Replacement Strap for the DC-40. $6.95. "I like these smaller collars because I have a total of 3 collars on my dogs when I am hunting." I like these smaller collars because I have a total of 3 collars on my dogs when I am hunting. This helps on my smaller hounds with their short necks. 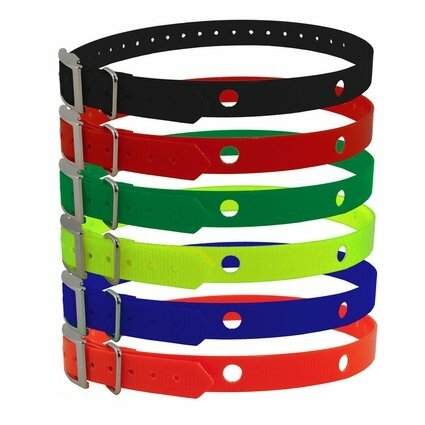 I have used these collars for over 4 years now and had no problems. Old English Bull Dogge. Family pet. Fast shipping! Thank you guys so much! I think the mounting holes shouldn't be so close to the edge. Excellent service from Gun Dog Supply. 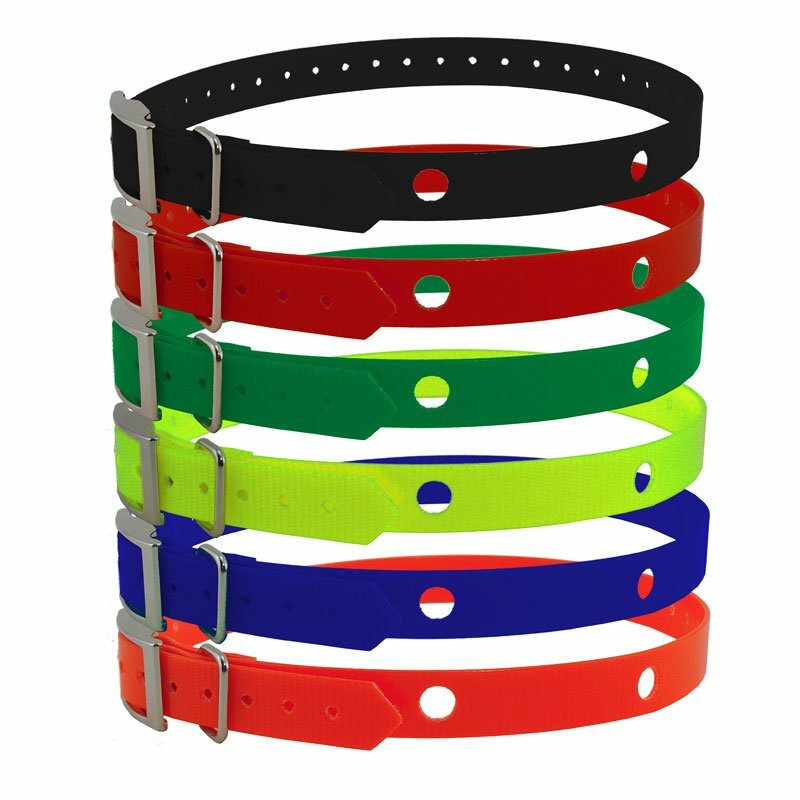 Replacement 3/4" collar straps for your Garmin DC-40 GPS collar. Available in Black, Red, Green, Yellow, Blue, and Orange.